My name is Chris and I graduated from Kings High School in 2001. My life was changed in December, 2014. 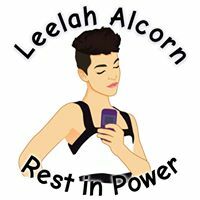 I remember the day that Leelah Alcorn died by suicide on a highway just minutes from where I grew up near Cincinnati, Ohio, If you are unaware of what happened, here is some background: I was saddened that something like this had to happen for transgender issues to be brought into the spotlight. I wanted to ask you something. Maybe you could get involved with my project? What do we do? The Ohio Department of Transportation allowed us to adopt a section of the highway provided we have four cleanups per year. Signs are up in memory of Leelah. In addition to picking up trash and being visible to the community, we will hold four educational events per year, all publicized on our Facebook and Twitter pages. Why is education important? Whenever a life is lost, we have to ask ourselves why it happened and how to prevent future loss of life. Just like with the LGBT movement, education was important and still is because most who aren’t part of the community would like to learn more. From school-aged kids to adults, we all need to expand our knowledge base to be more tolerant. What can you do? You and your organization can help us pick up trash along Interstate 71. Please also get the word out about our educational events. Everything we do is a great outreach opportunity to the community and a great opportunity for community service hours. Media coverage: The highway has been talked about locally and nationally. It has been covered by Pride.com, NewNowNext, Local 12 – Cincinnati, The Advocate, and more! Call The Trans Lifeline Hotline!